I became a little obsessed with this quilt top over the past two days and just finished piecing the star! I admit to being a total quilt dork, but I was so excited when everything matched up. I pieced all the white border triangles and squares as complete pieces requiring partial seams for each piece. I was almost giddy when everything was smooth and laid nice and flat. Fabrics are mostly from the Citrine Palate from Notting Hill by Joel Dewberry. The oval print and blue and yellow solids are Art Gallery. The neutral is Kona Bone. It's BEAUTIFUL! You should be proud of this one! WOW! I love this! Great job. This looks amazing! What a great idea. This is so gorgeous, Kati! I love it! It's incredible. Wow, I wanna make one myself NOW! wow, what a stunner!!!! And all your seams match up so beautifully, simply gorgeous. Stunning Kati!!! Absolutely Beautiful!! And that center point, amazing!! That's pretty stunning. Way to go. I think the thin border would look really great. This is just beautiful! Wow! 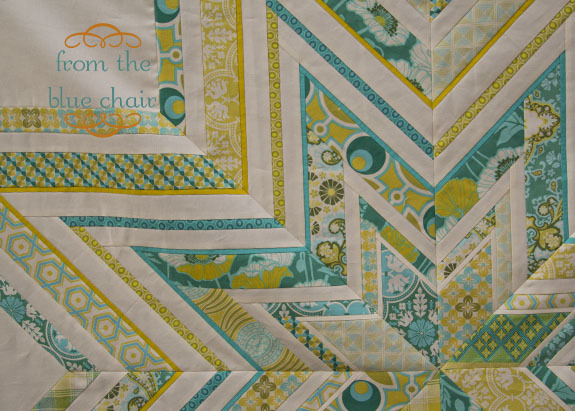 I don't often comment, but I absolutely had to stop and say how beautiful this quilt top is! 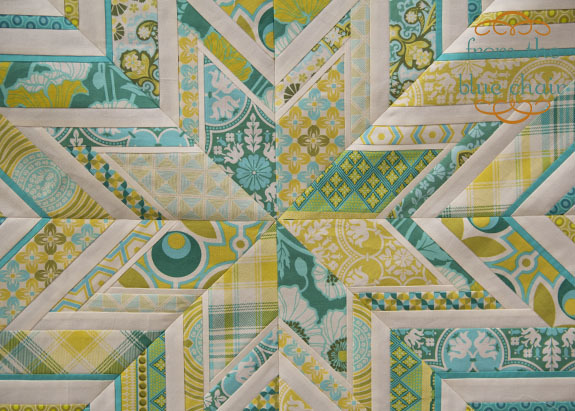 Your piecing is fabulous-- thank you for sharing! Your jumbo star looks amazing, I don't think my edges would line up perfectly like yours. Great fabrics choices as well!! This looks amazing - love the colours! Wow, your quilt turned out so beautiful. I would add borders to it to make it big enough for a bed. Your quilt is absolutely beautiful! I'm just starting to experiment with quilting. So glad I have your blog to turn to! What an amazing job on an amazing quilt! Can't wait to see it quilted. Wow that is really stunning! holy amazing quilt Kati!!! I want to say a cuss word it's so good. Wow, it's awesome! The colors are great! HOLY COW. COOLEST QUILT EVER!!! You are AMAZING!! Oh Katie, It's beautiful!! I'm Giddy for you!! This is absolutely gorgeous! I love the fabric too! Wow! Your star is gorgeous! Fantastic job on points and matching edges! Very inspirational! 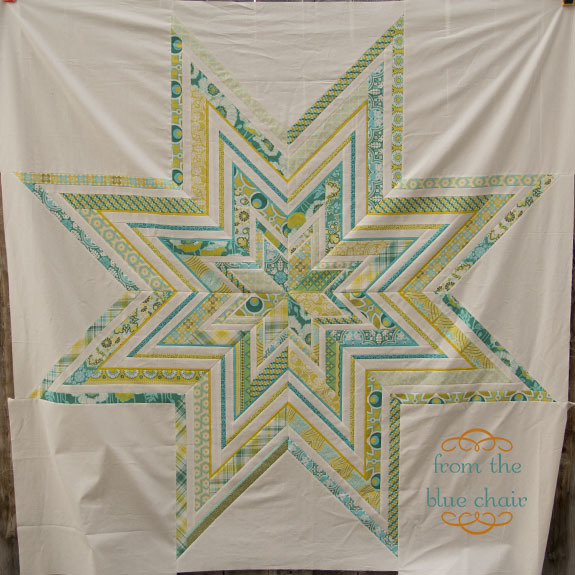 This is my favorite color combo and it looks GORGEOUS in this star pattern! Love, love, LOVE your star!!!! Those colors are gorgeous - beautiful job! My house suffers the same way too. Its just WAY more fun to sew than to clean! So so pretty! And I agree with Brooke. Perfect color combo!